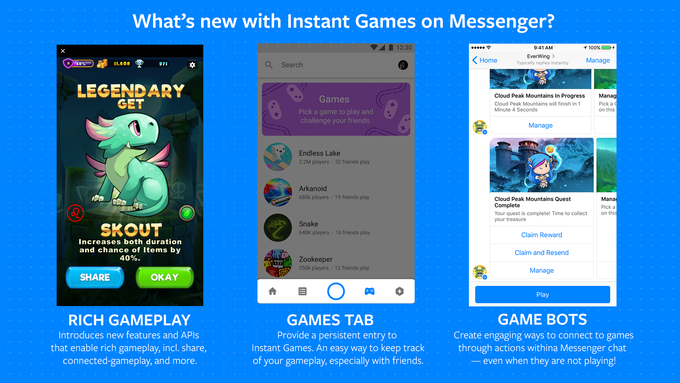 Facebook wants to keep users on their services for as long as possible, and now has another powerful tool that will help in that goal: instant gaming on Messenger. 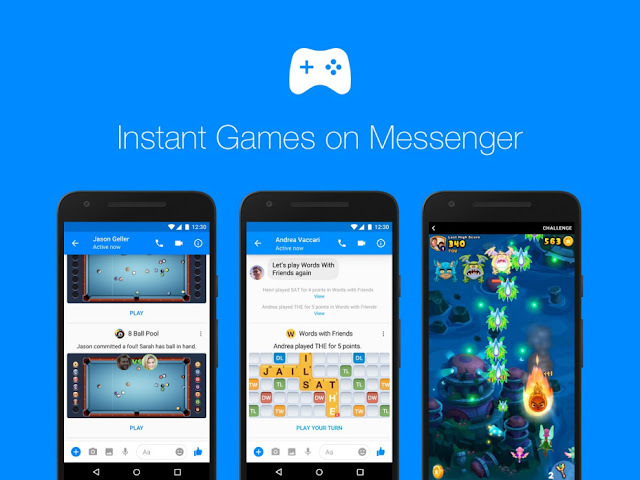 These Instant Games on Messenger will finally reach all Facebook users, and come with new features implemented after hearing requests from developers and players. These games have turn-by-turn modes that allow players to play at their own pace when and how they can; as well as integration with tournaments and leaderboars, etc. Developers can also use bots to keep users engaged and not let them forget about their games. Another not so subtle detail is that the potential success of these Instant Games could be the launching pad for the popularization of web apps; as these HTML5 games could easily be played in any browser, without the need for installations, and escaping the rules and impositions of App Stores. If Facebook demonstrates that this can be done with games, which are traditionally the most complex and demanding apps, why not do it for all apps? And with it, the issue of platform dependency would become irrelevant, allowing anyone who wanted to switch from an iPhone to an Android, or vice versa, to stop worrying about all the apps they'd leave behind. These Instant Games on Messenger will be available to all Messenger users on Android and iOS over the coming weeks.